Beja Shriners shared a post. Beja Shriners shared a link. The Shriners Hospitals for Children Telehealth Care Network extends the health care system's delivery of specialized care to domestic and international patients. Beja Shriners shared a Page. 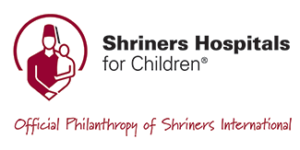 Beja Shriners will host its 17th annual fundraising golf outing on Tuesday, July 16, 2019, benefiting Shriners Hospitals for Children. Bob H. grew up in Chicago and Western Springs, Illinois. 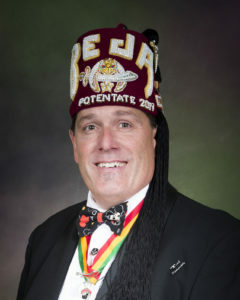 The dad of one of his best buddies in Western Springs was a true and upright Mason and Shriner, and his behavior and treatment of young Bob made a lifelong impression that had significance far into the future. Bob worked a long and satisfying career as a mechanic for a great many different garages and managers (owing in part to his tendency to speak his mind directly) and enjoyed a long courtship and marriage to the late Sher, who worked as a lab director at a Chicago hospital. The two had no children. Six years ago, Sher passed away following a stroke and a tragic medical accident. Very recently, Bob received dire news from his doctor that meant he would have to make plans to manage his worldly estate. His mother is now in her 90’s and he did not want to burden her. Bob did not feel that his brother or his brother’s family would respect his wishes. He wondered what to do. Remembering his friend’s dad, the Shriner, Bob called Shriners Hospitals for Children – Chicago to inquire about making an estate gift. He wanted to be sure that the value of his possessions would benefit children who need specialty care, and he wanted to protect his mother from heartache and trouble. Dan Winter explained that we are glad to accept estate gifts, and an estate plan need not be expensive or difficult. In Bob’s case, it is a very simple estate plan: everything but the piano is to benefit Chicago Shriners Hospital. The piano is to go back to his mother because it was hers. Bob asked Dan Winter to accompany him to a meeting with a lawyer to discuss his plans. The attorney interviewed Bob and will have a draft plan for him to consider in the near future. The result will be a generous gift to Shriners Hospitals for Children and peace of mind for our donor and his mother. SHC-Chicago will add three new Telehealth sites in Angola, Indiana, Moline, Illinois and Peoria, Illinois. These three towns join the current Michigan sites at Mary Free Bed Rehabilitation in Grand Rapids and Covenant HealthCare in Saginaw as the telehealth services continue to grow system-wide. The implementation of these alternative sites will allow our families in these areas to have more convenient visits with their hospital clinicians and lower transportation costs. Our state-of-the-art mobile carts and digital health peripherals will connect our physicians and qualified patients by video for both new and follow-up visits. The hospital team examines the child via live video from a private room at the affiliated location, where they receive our signature high-quality care, just as they would at the actual hospital. 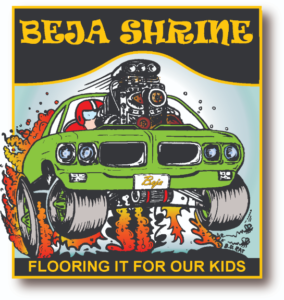 We welcome you to the Beja Shrine Website. 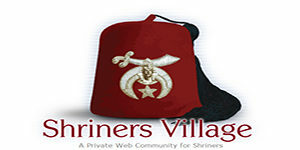 Not a Shriner? Have a question? Call Beja Shrine at 920-498-1985. We will do our best to answer your question.